If there is one thing I am really good at, it is procrastination. I have no idea why I procrastinate but in my many years of parenting I have discovered that there are many other moms out there who are well on their way to mastering “the art of procrastination” as well. In my quest to fix this well practiced habit I search the internet from time to time to find helpful articles that will cure me of this not so superb habit. I am sharing an article that states the obvious from David Allen’s GTD blog written by a woman, so you know she can relate. Have a rocking Friday! -Momma Groove is my little blurbs and shares from around the web of what helps me to Get Things Done around the house, the office and my volunteer work. I am not alone in thisquest and we the busy, busy moms and dads are holding this fort down the best we can. 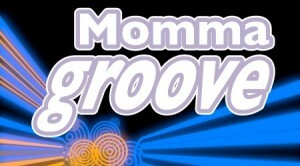 Momma Groove is meant to inspire us to take care of our families and ourselves while being the most productive and efficient along the way.